I am a Specialist Adviser at Department of Legislation, Standards and Security of Information Systems at Ministry of Finance, Slovakia. Current Open data activities are closely connected to the project MetaInformation System of Public Administration, which provides all necessary information about information systems, services and other eGovernment components. 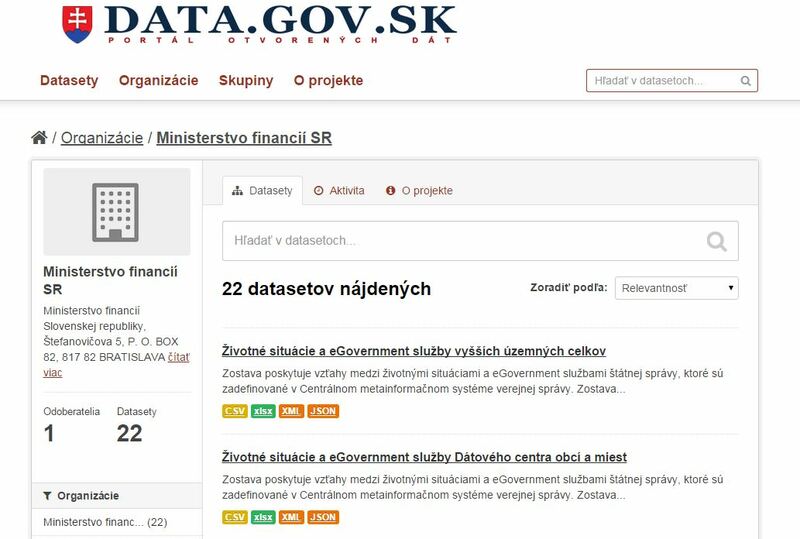 The Ministry of Finance is publishing many datasets at www.data.gov.sk and intends to continue and improve it. Comsode project provided us a set of recommendations about obligatory and voluntary attributes and about licences.